Linear programming is the branch of optimisation which is probably most often used in connection with problems of structural engineering — in the generic modelling of some types of problem or in the approximation of other more complicated ones. 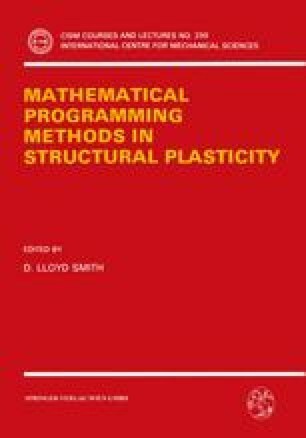 A review is made of the Simplex algorithm for linear programming in its two-phase form, and the program solution is related to the Karush-Kuhn-Tucker optimality conditions. The duality of linear programming is described in terms of the associated Lagrangian, and the optimal solution of the dual linear program is obtained from the Simplex solution of the primal problem through the Simplex multipliers.